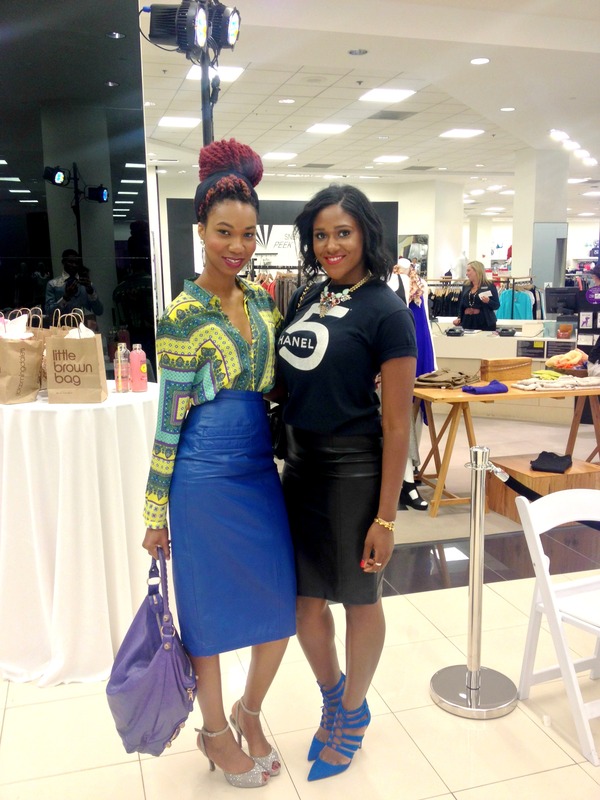 Bloomingdale’s Summer Fashion Smash at the Westfield’s Century City mall was a success. It was showcasing the latest summer trends in women’s fashion. Featuring designers like Theory, Clover Canyon, Diane von Furstenberg , and they were all available for purchase! Lovely presentation, Jennifer Chan , and Jennifer Grace also did a great job hosting. ZARA print blouse, Leather pencil skirt (vintage) , BALENCIAGA hobo bag, JEFFREY CAMPBELL glitter peep toe.